CHECK WALK IN INTERVIEW IN MUMBAI FOR GULF – Candidates who are Seeking for the Latest Walk in Interviews in Mumbai can check the details of Walk in Interviews in Mumbai for Gulf jobs that have been recently Posted in this Site. Here we are Updating all the details of the Walk in Interview in Mumbai like Job Position, No. Of vacancies, Job Description etc.., Both ECR & ECNR Can apply for this Walk In Interview. 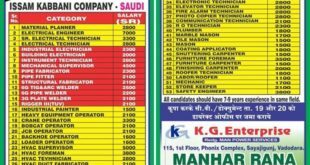 gulf job seekers latest news in walk in interview in Mumbai huge list of gulf interviews in mumbai this week . check your required position grab the latest job opportunity. Apply with full documents. URGENTLY REQUIRED FOR LEADING CO BASED IN SAUDI ARABIA. FOR THEIR OPERATION & MAINTENANCE DIVISION. CLIENT VIEW IN MUMBAI . Soundlines Interview at HOUSTON TRAINING & TESTING ACADEMY GALA LAXMl INDUSTRIAL ESTATE KURLA WEST MUMBAI 400010. Service Charge will be as per rules set by M0IA only through demand draft Salary as per MRW prescribed by MOIA (Further Negotiable). 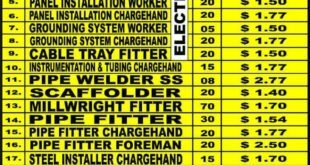 Urgently required for the most reputed Construction Company in Oman. A construction company in Oman Is conducting walkin interviews. Candidates who are Searching for a Job in Oman Can also check the details of latest Oman Job Interviews in Chennai that we have recently posted in this site. Here You have the Complete details of recruitment like Job Description, Date of the Interview, Qualification, Eligibility criteria Etc..,Walk-in-interview in Progress. Candidates with Gulf Experince Preferred for this . Civil Engineer 10 to 15 Years Exp in Road Construction Supervision. Civil Engineer – 10 years Exp for Residential Building Construction Supervision with high Quality Finishing. Civil Engineer (Highway design) – 10-15 years Exp in Civil 3D Auto CAD Desinging Roads, networks geometrical road Element Analysis with capability of Emphssizing all road design Elears ments. Blasting Engineer – Degree in Mining Engineer with minimum 10 Years Exp in the field of query and rock blasting. Land Surveyor – must have 5 Year Exp for Road Constructions, Account Manager – 10- 15 yer Exp in Road Construction Company. Senior Accountant – 10-15 years Exp in Road Construction Company. Heavy Equipment Diesel Mechanical Supervisor- Diploma / Degree, Specialize in diesel Engine with Min 10 Years Exp in diagnose and fixing. Heavy Equipment Diesel mechanic – Specialize Diesel Engine with min 8 years Exp. Heavy Equipment A/C Electrician Specialize in Heavy Equipment A/C repairs min 5 years Exp. light Driver- GCC listen holder with min 10 exp in gulf Countries. For more Latest Job Updates in Oman Can also check the recent Posting that have been updated in this site. Candidates who are recruited will get Attractive Salary and Other Benefits too. F. GHEEWALA Human resource Consultants. Send your resume to the Email Id : [email protected] contact No. 022-61666815 / 816 & 8108108944. 408, rex chambers, Walchand Hirachand marg, Nearby CST Station / G.P.O. Ballard Estate, Mumbai – 400 038. Facility Management Company Hiring for Maintenance of hospitals,villas,palace and Commercial Bldgs. Providing attractive salaries with other facilities. The candidate should have Diploma and min 3-8 years of experience in their relevant fields.The interested candidates should walk-in with your passport and relevant documents. Address: Manik Travels,Opp Canara Bank,Vakola Bridge,Santacruz(E),Mumbai.